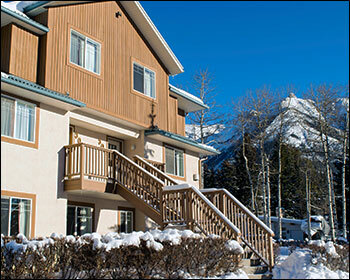 Banff Boundary Lodge is located just west of Canmore and less than a minute from the Banff National Park gates. The setting provides a quieter atmosphere than the neighboring towns of Banff and Canmore but still offers easy access to the hiking, skiing, dining, shopping and all other attractions and activities that Banff and the Kananaskis Valley have become famous for. 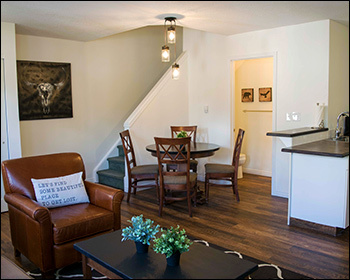 Each suite at Banff Boundary Lodge offers two bedrooms, a fully-equipped kitchen, gas fireplace, and free Wi-Fi. Lodge amenities include complimentary parking, an outdoor hot tub, a BBQ area and fire pit, and laundry facilities on site. The lodge is also fully independent, providing private, vacation home style accommodations.